Name of an elvish/fairy book series with a blondish girl in feathered armor on the cover? It was a book series that isn't super old, about an Elf King and the girl that falls in love with him. I'm pretty sure her armor on one of the later books is gold. 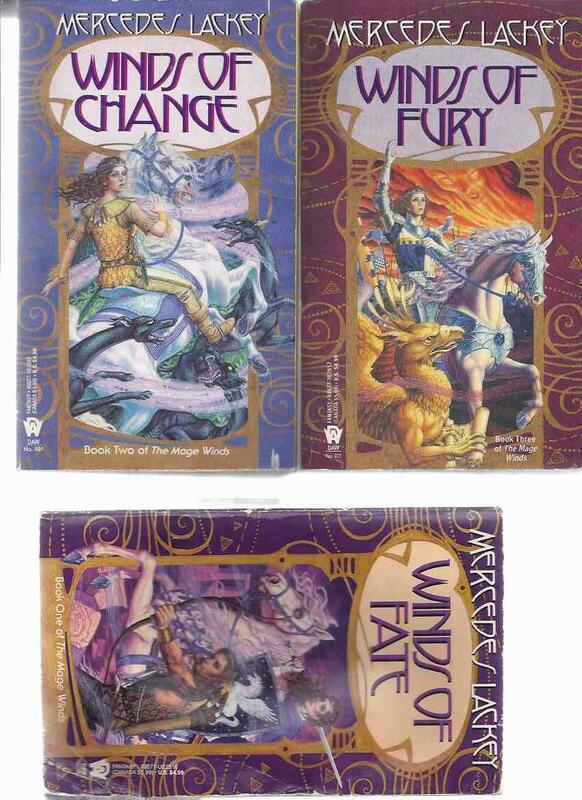 Based on the description of the cover, I think it might be the "Mage Winds" trilogy by Mercedes Lackey, consisting of the books Winds of Fate, Winds of Change, and Winds of Fury; set in her Valdemar universe. There is no Elf King, however, but a tribe of "Hawk Brothers" that are rather elvish. Not the answer you're looking for? Browse other questions tagged story-identification books elves or ask your own question.